Hung Fut Style Kung Fu combines Hung Kuen (the hard southern style) with Fut Gar (the Budda open palm). We are the only club in Canada to teach this left-handed style of Kung Fu and it is our goal to promote and ensure the continuity of this style of martial art in Canada. 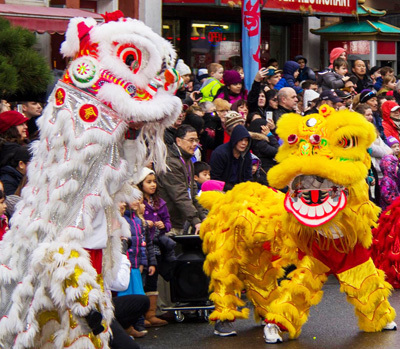 We also teach the Lion Dance, which we have performed in and around Victoria. Our lions have been invited to help celebrate many civic and community events as well as to welcome dignitaries from all around the world.